The JPL is continuing to change the face of youth football in England. Next season we will be launching JPL One, the highest standard of games programme outside of the pro club system, and continuing the growth of our Central Venue Football Leagues for mini soccer. 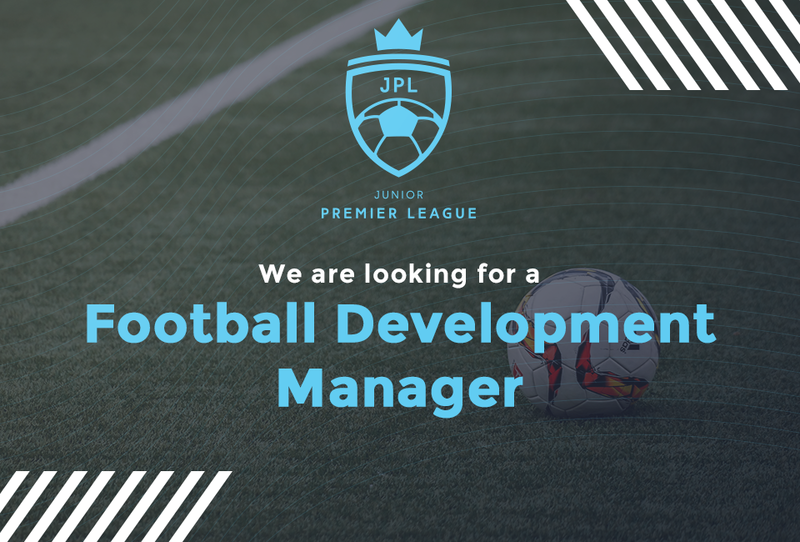 To support our ambitious plans we are seeking to recruit a Football Development Manager, who will be involved at the frontline of football development for the Junior Premier League (JPL). This is an outstanding opportunity to work with a pioneering youth league with over 13,000 players. This full time position will manage the strategic coordination of mini soccer, youth football and developing our club network. The post holder will influence and support growth and retention of participation in these three key areas in accordance with JPL strategy and ensure all targets are met. 1. Work with the Director of Football to ensure the JPL games programme is delivered at the highest standards for all stakeholders. Also, deliver activities/events which directly support the strategic aims of JPL and the FA National Game Strategy. 2. Manage liaison programme; working in close partnership with internal colleagues and external key stakeholders to ensure that the JPL delivers excellence for all stakeholders.